The incidence of marauding and other crimes perpetrated by Ukrainian soldiers is on the rise on territory under Ukrainian Armed Forces control, said the Press Secretary of the Donetsk People Republic Army, Daniil Bezsonov, the Donetsk News Agency reports on October 28. The published documents reveal crimes that Ukrainian soldiers committed against civilians. Drunk Ukrainian militants belonging to the 91st battalion of the 81st air mobile brigade ransacked a grocery store in the locality of Konstantinovka and tried to escape. However, the locals captured one of them and subjected him to mob punishment. As a result of the incident, the soldier was hospitalized with a head injury and various fractures. 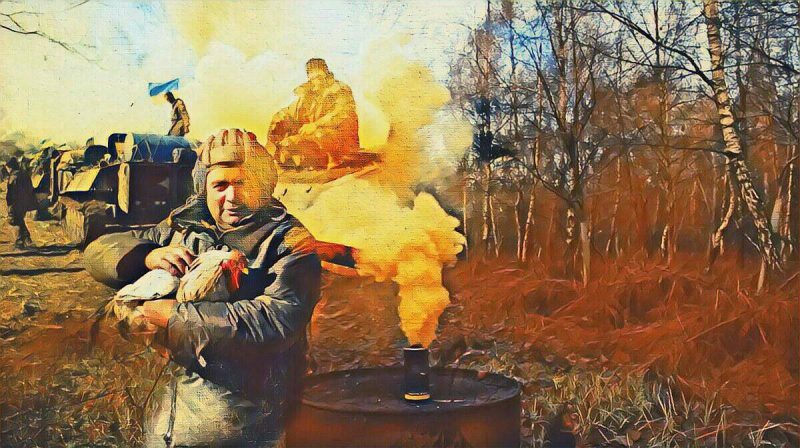 Daniil Bezsonov claims that “The territory under the Ukrainian Armed Forces control witnesses the rise of social tension“. Earlier, the media reported the increasing incidence of violence against civilians. On October 13, Ukrainian soldiers shot two Donbass residents and seized their car. According to some reports, civilians have also been facing extortion and robbery. This entry was posted in News from Ukraine and tagged Classical War, DPR, Ukraine, Ukrainian army. Bookmark the permalink.